Borussia Dortmund have been created by young people opposed to the total control of the Catholic Church on the sport. In 1930 Borussia Dortmund take its current name. 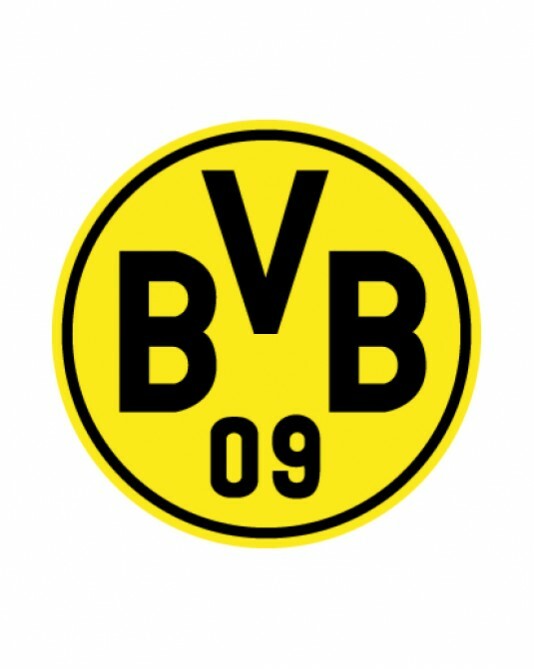 The period 1950 - 1960 year was one of the most successful periods for Borussia Dortmund, winning two championships of Germany - 1956 and 1957. In 1962, the managers of the German Football Association gathered in Dortmund to decide and organize the German championship as in every European country. 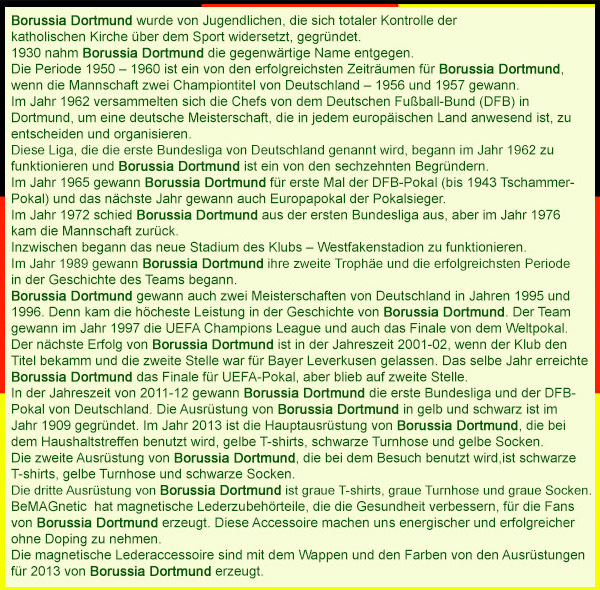 This league, called the Bundesliga, began operating in 1962 and Borussia Dortmund are one of its sixteen founders. In 1965 Borussia Dortmund for the first time won the German Cup as the following year it won the Cup of Winners' Cups. In 1972 Borussia Dortmund dropped from the Bundesliga but returned in 1976. Meanwhile, the new stadium of the club began operating - Westfalen Stadion. In 1989, Borussia Dortmund won their second Cup, which begins the most successful period in team history. Borussia Dortmund won two championships in Germany in 1995 and 1996 is the biggest success in the history of Borussia Dortmund. The team won the Champions League in 1997 and the followingfinal of the Intercontinental Cup. The next success of Borussia Dortmund was in 2001/02 season when the club takes the title, leaving the second place for Bayer Leverkusen. The same year, Borussia Dortmund reached the final of the UEFA Cup, but remains in second place. 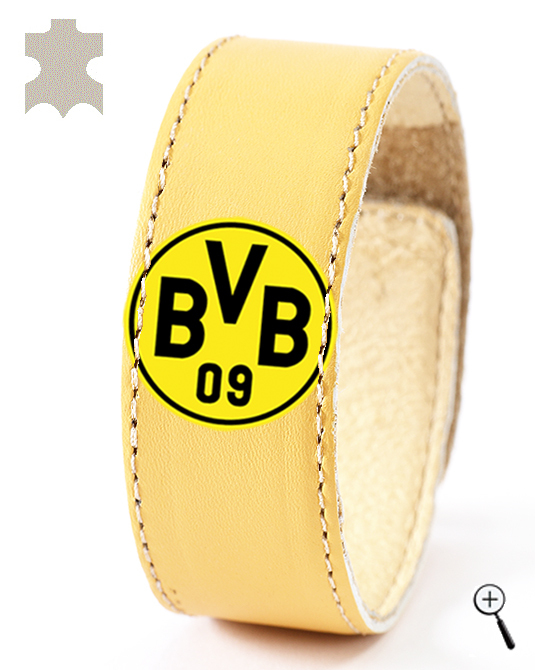 During the 2011/12 season, Borussia Dortmund won the Bundesliga and the German Cup. For the year 2013 the home kit of Borussia Dortmund is a yellow shirt, black shorts and yellow socks. The away kit of Borussia Dortmund is a black shirt, yellow shorts and black socks. 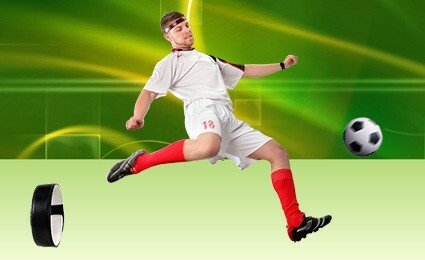 The third kit of Borussia Dortmund is light gray shirt, light gray shorts and socks. 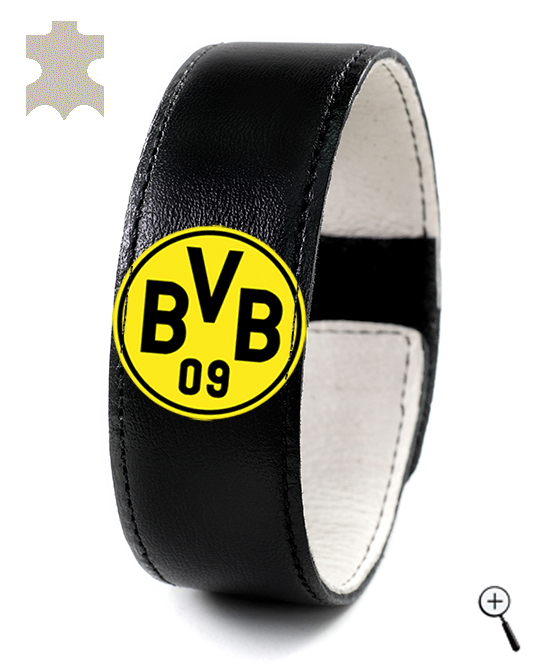 BeMAGnetic design magnetic leather accessories for fans of Borussia Dortmund that improve health and make people more energetic and more successful without doping. 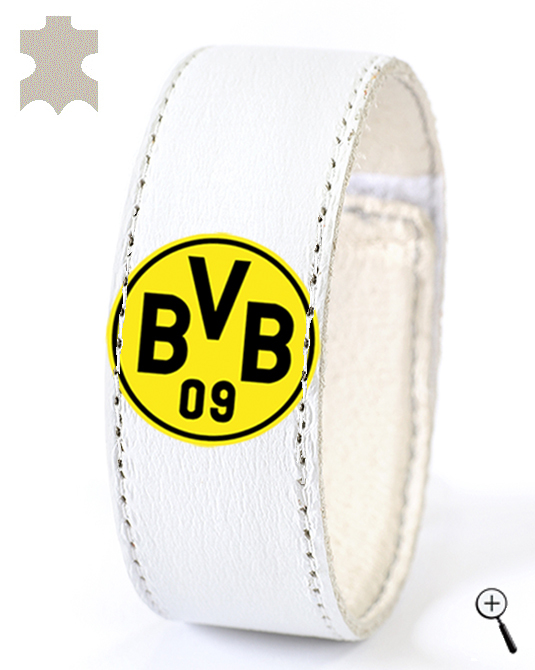 The magnetic leather accessories are made with the emblem and colors of the three kits of Borussia Dortmund for the year 2013.